FW: She's Mad… and I totally agree with her. Dymphna Boholt has just released over $795.00 of the most comprehensive and valuable real estate education totally free! Why has she done so? I'm not sure if you get the same vibe, but if you follow the journo's and the general press, you may get the feeling that it's not the stock market that is stuffed – but it's the property market. So many reports of mortgage stress, real estate dropping by a huge 5% (lol), affordability of housing at an all-time high, harder and harder for young people to buy their own home, etc, etc, etc. My friends, it's the stock market that has fallen 29% since January this year. Superannuation funds around the country are likely to show anywhere between a 10-15% loss (they're calling it, “negative growth” in the industry). What a complete oxymoron that is… Negative growth. The reason that I'm mad is that I feel that many new investors are starting to believe and buy into the B.S. Let me tell you, the slight pause that we're seeing in the real estate market is a blip on the radar. * Vacancy rates in most capital cities are at an all-time low. * Rents are increasing sharply and expected to be anywhere between 30-40% greater within 4 years (I predict higher than that). * Building projects have dried up because of the uncertainty of funds, due to the sub-prime mess. * Vendors are now totally uncertain about their price expectation. * Severe shortage in housing (which is reaching chronic levels). What that means is that we're entering in to what I call the perfect storm for buying below wholesale with an expectation of capital growth in the next 3 years. Don't believe what you read and hear in the papers, I know that people are making serious money out there. Well, I've got students who report back to me, and there are some that are making a killing. How can I help you take advantage of this brief pause in the property market? Well, instead of motivating and encouraging you, I'd prefer to educate you with some of my best material totally free! Over the next 10 days, I'm going to be giving you over $795 worth of information that you can download or watch online. There are 5 reports in total, as well as 7 video segments – all will be available online. * REPORT #1: How To Take Advantage of The Current Market Confusion for Your Own Personal Gain. * REPORT #2: Insider's Guide on How To Bullet-Proof Your Assets for Life. * REPORT #3: Maximise and Leverage All Your Cash Flow With The Tax Secrets of The Rich. * REPORT #4: How To Identify and Create Positive Cash-Flow Real Estate in Today's Market. * REPORT #5: Discover How Real Wealth is Created in Real Estate That You Can Pass Down to Future Generations. You'll get report #1 immediately and the rest of the reports will be emailed to you throughout the week. Now is NOT the time to put your head in the sand, stand on the sidelines and watch others profit. After you read my reports, your excuse of not having enough education will be gone forever. They're very beefy and comprehensive and laid out on a platter, My Real Estate System from A to Z. Enjoy the free education and resources. This is probably the most IMPORTANT blog you will read this year. It reveals how to work out YOUR NUMBER…. without it you will forever be on a perpetual treadmill. I don't want that for you, and I'm sure you are sick and tired of just surviving. This here is the quick and dirty formula I promised you yesterday. Find out how much you are spending this year on your current lifestyle. Be sure to include all the big items such as housing costs like rent or mortgage payments, insurance, clothing, food, etc. And make sure you include all other costs including occasional expenditures such as holidays, impulse purchases and emergencies. Add to that the net annual cost of any extras that would bring you up to the lifestyle you want. For example if your car lease is currently $3000 a year for a Toyota and the Mercedes you want to drive in retirement is $10,000 of the year, add $7000 to your yearly budget. Multiply the results by 20. THAT'S YOUR NUMBER, the amount of money you need to put away before you can quit your job and begin living off interest, dividends or portfolio income. How does this work in real life..? Good question. Say you're currently spending $80,000 a year to live as you are living. Say you've determined you need to spend an additional $60,000 a year to be really happy. The sum of those two figures ($140,000) multiplied by 20 is $2.8 million. Important note; the multiplier of 20 is a little bit conservative. It's higher than the one I set for myself when I began making money and working on my number. You're probably thinking, where does the 20 come from? The 20 is an easy way to calculate a return based on 5% per annum. Comprende? To show you what I mean exactly, let me give you a quick example. If you had the entire $2.8 million right now you could put it in a fixed term deposit in any of the four major banks and get back a return of 8.3%… That's an income of $232,000 per year. A lot higher than you originally projected, right? Some people may be questioning the tax implications, if you set this up correctly you should only need to pay 15% tax, that's it. Not really an issue, is it? Now that's just having the money in the bank, pretty safe and passive. If you took that one step further, and got smart about investing your money, you could do a lot better than that. If you simply bought a well selected share portfolio, it should grow at roughly 11.3% annually. That's the average from the last 50-odd years, can't argue with that. Add to that the dividend yields of let's say anywhere between two and five percent, your total return on your portfolio would be 14.3% (average). So going back to our $2.8 million, if we get 14.3% that would make our income now $400,000 (that's more like it). Not into shares? Well, let's have a look at property (my favourite). This will depend on how well you buy property, how long you hold it, and how well you manage it. But I think it's safe to say that your real estate can give you on overall return on investment closer to 20%, which might bring up your average investment yield between 12% and 18% depending on how much real estate you do. How I came up with 18%? Let's assume you pick an area that has had consistent 12% growth over last 20 years, and add to that a rental yield of 6% that will give you about 18% (average). I know what you're thinking… It sounds all good, but how the friggin' hell do I get $2.8 million..? Good question. Now of course to get the 2.8 million, it's unlikely that you'll ever be able to save it.. The bottom-line is that you're going to have to understand investing regardless of whether you choose real estate or shares. My task is to get you to realise and figure out your number. Your task is to do something about it. So what is your desired retirement lifestyle? Let's take a look at the following. MODESTLY COMFORTABLE ($150,000 a year) and you've got all you need. You and your wife live in a modest but comfortable house, drive late-model but not too fancy cars, go out to dinner at moderately priced restaurants several times a week, and you take several week-long or ten-day vacations (economy class). To reach this lifestyle you'll need about $2.8 million. QUITE COMFORTABLE ($500,000 a year) life is pretty easy. You got most of what you want. You live in an up-market area, in a nice neighbourhood, you drive a luxury car, you dine regularly at the best restaurants, golf and tennis at the club, and a few business class vacations a year. This lifestyle will set you back about $8 million. EXTREMELY COMFORTABLE ($1 million a year) you got all, you live in a multi-million-dollar house, drive an expensive, nice luxury car, never experience a winter: Six months in Australia, six months in Europe. You fly first class six times a year just to the fun of it. These holidays are pretty much non-stop. Choose this luxury lifestyle and your target is $18 million. Which lifestyle did you choose? You might be saying to yourself that you would be more than happy with option one, that's cool, it's more than achievable now that you know what that number is. It's your choice what lifestyle you want and what lifestyle is going to make you happy. You get to choose YOUR NUMBER.. I'll say this, if you don't have a number, you're unlikely to ever achieve a comfortable retirement where you can live a life on your terms and perhaps far better than what you currently experiencing. Wouldn't that be amazing to actually live a better lifestyle in retirement then you're living right now? For most folks that's almost a crazy thing to even suggest. (Especially when you talk to the “financial planners”). Set a target now and stick with it. Work out your number and start taking action to achieve that number in the next 5-10 years. Don't be foolish enough to think you can do it in 12 months, sure it can happen but for most people it will take a little bit longer than that. Begin now… the best way to achieve your number and a level of comfort you want when you retire is to accelerate your income as well as your wealth. There's no better place to learn how to do it, than some of the surprise educational wealth events that I have coming up for you in the next two months. How much money do you need to retire, quit working and be financial secure from the rest of your life? It's an important number, don't you think? Yet I bet that you've probably never spent much time thinking about it, or you could even be avoiding the issue completely because you think the number is too great. I personally used to be in the second category. Never thought about it and afraid to even begin. It would certainly upset my weekend. How was I going financially? Broke, of course. Until I confessed to myself and realised it was an important question. So what I thought I would do was go to a finance professional and ask them how I should be going about calculating this number. After all, they're the experts aren't they? Calculate your current investment assets and multiply that by 5%. That should give you an income figure without having to eat into your capital. Add the value of your home equity an divide that number by the amount of years you expect to live. To this, add the income you expect from inheritances. No kidding, they included this one as well. Again you have to divide that number by the number of years you expect to live. Add the amount of Social Security you expect to receive. Add any expected annual pension payments. Add other royalties, fees, part-time work, etc. Confused? Did you give up half way? I'm happy to admit that I was a little bit lost. What is obvious here about this calculation, is that it tells you not so much what your number is, it simply tells you what your income is likely to be in today's dollars based on your current net worth. For most people, even this vague number would be frightening. Anyway, an interesting calculation, you should do it yourself even though I don't totally agree with that. Sounds like we have a future politician on our hands. All the financial planner wanted to do was simply highlight the shortfall and then put me on an investment plan where he could periodically lose my money slowly over 20 years. He was obviously talking to the wrong guy. Now, what I failed to mention to you earlier was that I was not telling him my personal situation, I just fabricated a typical middle income scenario. Oh, by the way, the financial planner that I was talking to, interestingly enough was about 15 years younger than me. He went on to say that the rule of thumb – (and this is scary as well), is that in your retirement you will be likely to need less money then what you are spending now. Something about saving on commuting to work costs and not having to buy expensive clothes liked suits and dressy shoes, paying off your mortgage, blah, blah, blah. So, does that mean that in retirement you're supposed to live off 50% of your current income, even though right now on 100% of your income you're just over broke? Hmmm… Some retirement that would be. I don't know about you, but I want to have a lot of fun when I retire and I certainly don't want live off 50% or even compromise on my current income. You know it's an important number to figure out and then work towards. It's pretty simple actually, no rocket science needed. Tomorrow I'll give you a super-fast way to actually calculate this number… Simply by working backwards. You cannot live in denial with regard to this number, you have to face it and deal with it head on. Sweeping it under the carpet ain't going to cut it. Stop whinging about petrol prices – Do something about it. If I hear another story about petrol prices, I'm going to scream. So much whinging and finger-pointing going on right now. Typical victim-mentality. Guys, petrol prices didn't just jump out of the blue and skyrocket… They've been hitting record highs now for 3 years running. I don't know if you remember a story I shared with you of an event we did 3 years ago, where an astute and savvy friend of mine, Stephen Jennings shouted at the audience to buy as much crude-oil as they could. Back then it was trading at $42 a barrel. Lots listened, a few bought. This is what smart investors do and have been doing for many years… There's a group of people out there who are profiting massively out of petrol prices. When they go to fill up their car, do you think they care what the price of petrol is? You can play the same game. For instance, if you purchased $5,000 of BHP shares just a couple of months ago, those shares today would be worth approximately $8,500. So in the last couple of months, you would have collected $3,500. Let me ask you a question, would that have off-set what you would have paid at the petrol pump? Of course it would have. Now, why did I mention BHP? Most people don't know this, but BHP is a massive producer of oil. Everyone thinks that they are a steel company. When you think about it like this, it's pretty simple. Here's another example. Food prices are another topic of discussion, so if you want to offset your shopping bill and perhaps even make some profit along the way, let's ask the question… Who's likely to profit from the increase of food prices? That's your homework for the weekend. The fact of the matter is that most people don't even have an account open with a broker to take advantage of the market anyway. If you're reading this, shame on you. You are obviously interested in all things money, but to simply watch, sit on the fence and spectate isn't an option. So the next time you whinge about food prices, petrol prices, insurances, stop yourself and ask yourself the question… Which companies benefit? There are profits in the answer to that question. That's how complicated investing really is. Not complicated at all once you switch your thinking. Throughout your lifetime, most of you reading this will make in excess of $1 million. It's going to take you 20-30 years to achieve it on your current yearly income. Despite that, it's still a lot of money. The bad news is, like most people, you'll spend it all – and after a lifetime of earnings, you'll probably end up with nothing. Because no one teaches you about money, you probably received no formal education in the most critical subject that your whole life revolves around. Did you ever attend a class called, Money 101? Have you ever thought, why isn't it compulsory to teach children the fundamentals of money? I mean, so many people talk about how they wish they learnt the secrets of making money at school. Let me tell you, it's never going to happen. Schools as we know it today were built out of the industrial age's necessity to create a workforce for the industrial revolution. Henry Ford saw to that, he was one of the visionaries behind the current school system. The whole curriculum that today's society is built on is designed to turn you into an employee (they've done a good job of that, haven't they?). My suggestion is, put the oxygen mask on yourself first and forget about changing the system. How did you learn about money? Most likely you picked it up a piece here, and a tip there. You absorbed attitudes from your parents, peers and the media. You proceeded through trial and error and learnt through the school of hard knocks. What you learnt was probably haphazard, mostly wrong and certainly out of context. The end result usually is overwhelmed by the whole subject of money. Confused and frustrated – you do the unthinkable… and that is you put your financial future in the hands of somebody with a suit who smells good, looks good but has absolutely no idea about making money (financial professionals). Here's an example of what I'm talking about – and how ridiculous our system is, and effectively what you're up against. Let's call Person A, Bob. Now, Bob is a bona-fide millionaire trader. He makes a living out of trading the market every day. Now you meet Bob at a BBQ and in conversation you find out that he's a full-time trader. You of course are interested, and you ask Bob for a tip. Bob casually obliges and says to you that he's looking at BHP at the moment and he's going to enter a trade on Monday morning if all the signals are right. You take that on, because you respect Bob's history, background and the fact that he's been making a full-timeliving trading the market for the last 10 years. Monday comes around and you take the trade based on Bob's advice. Now of course Bob never told you to trade the stock, you were just having a conversation. Anyway, after 3 days of being in the trade, you've lost 10% of your money and you get out of the trade. No big deal, not every trade is a winner. Because based on the way our system is currently run – you can actually sue Bob for giving you financial advice without a license. Despite the fact that Bob is a multi-millionaire from trading. Now consider this, imagine Bob was not a hard-core trader, but a financial planner 6 months out of school. He's never traded a share before in his life and he gives you the same information. Let's assume the same thing happens on the trade and you lose some money. Well guess what, you can't sue the financial planner because he has a license. The moral of the story… Results are meaningless when it comes to giving advice. Degrees, diplomas and process are all that matters. It doesn't make sense, right? That's why you can't franchise your wealth-building to financial planners and accountants. You've got to take on the role yourself because at the end of the day it's your money and nobody is going to care about it as much as you. I know I'm on a rant at the moment, but if I estimate the amount of money that has been lost in the last 12 months by financial planners and institutions – it would be in the billions… and yet nobody has gone to jail and no massive court cases. The poor little investor at best, gets 5 cents in the dollar (if that) and is scared for life when it comes to investing. Your money – your responsibility. Don't get sucked in to “guaranteed” returns, especially those that promise 5-8% a month. I've heard so many tragic stories of late of people who have poured in hundreds of thousands of dollars into such schemes. The best insurance you can build against being ripped off isinvesting in your own education. Ultimately, this is the highest payoff. If that's $5,000, so be it. If it's $25,000 – that's cool too. But always know in the back of your mind that investments like this are highly-speculative and risky. Do yourself a favour and invest in your own education – I've been doing it for years and it's the best return of money that I've ever received. 4 Stages of Real Estate Success – What stage are you at? The path of the Millionaire Real Estate Investor is a progression through four stages. First, you must learn to THINK A MILLION (think like a Millionaire Real Estate investor) before you make your first move. or as a timeless truth, my experience has taught me that THE BIGGER I THINK, the more I can accomplish. I've learned that what I hold in my mind is what shows up in my life. Learning to think like a Millionaire Real Estate Investor will give you the greatest chance of becoming one. The next step is to BUY A MILLION, you have to get a thorough understanding of the best models for investing in real estate and, more fundamentally, an understanding of money: the way it is made and the ways it can be lost. The goal is to equip you with the working models you need to purchase investment properties with a market value of a million dollars or more. Believe it or not, this is not the huge leap you might imagine, and many investors reach that mark long before they ever expect they would. BUY A MILLION is about the fundamentals of acquiring properties, holding them, and in some cases selling them. BUY A MILLION applies the power of CRITERIA, TERMS, and NETWORK to launch your career in investing. After you BUY A MILLION, you'll set your sights on having an equity position of a million dollars or more in your properties. We call this stage OWN A MILLION. This is when you will realise that the investing you have done has blossomed into a bona fide CASH FLOW FOR LIFE business. With that transformation comes a set of issues specific to that level of ownership. Acquiring properties through credit potentially becomes more difficult, cash becomes a commodity, and managing your investments could require help from several quarters. This stage involves dealing with and often balancing cash flow with asset or equity build-up. It may involve selling, trading up, or exchanging. It certainly involves understanding the surprisingly simple realities of tax and asset protection issues. The good news is that by understanding these issues from the beginning you can plan for them. That is what getting a MENTOR AND ACCELERATING your education will help you achieve. By beginning with the right models, proven ones that can handle the big issues, you'll never have to stop and scratch your head or, worse, start over and reinvent what you do. The last stage of growth for a Millionaire Real Estate Investor is RECEIVE A MILLION. Think of it as the summit, a place where only the best have gone. RECEIVE A MILLION is when you are in a position to receive an annual income of a million dollars from your investments. Pivotal to this stage is that your investment business be designed so that you can choose to get out of the day-to-day work and enjoy the benefits of what you've created. Although you can step out at any point along the way, it is my hope that you will set your sights on a BIG GOAL. Exactly when you decide to move into the “receive mode” is up to you. Obviously, you don't have to wait until you're receiving a million dollars a year. Like some of the investors we met in our research, you can accept cash flow you've built and step out of the rat-race sooner. The point is that if you've followed the models of The Millionaire Real Estate Investor, you will have more choices. The sooner you start to totally understand exactly how the Millionaire Real Estate Investor models operate, the sooner you'll achieve your goal of financial freedom. Begin the journey now and get a complete understanding of how the 4 models are put together. 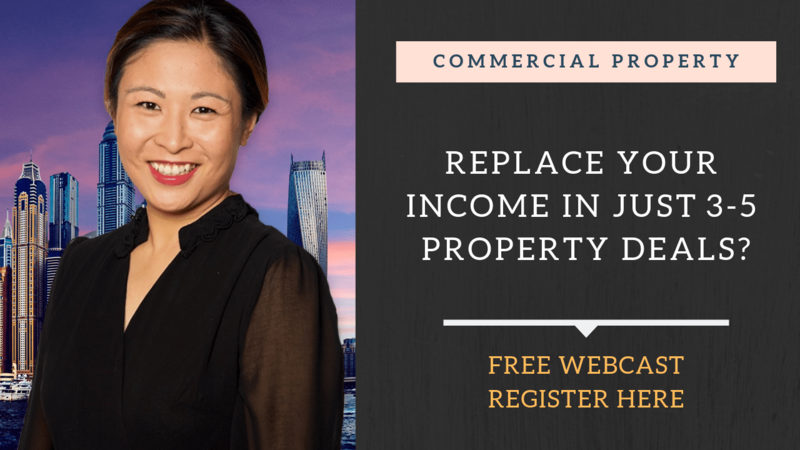 Discover The 4 Models of Real Estate Success LIVE! I couldn't care less about last night's budget. In fact, I didn't even know it was on until this morning when I read the paper. Shame on me. …And you know what, I don't normally read the paper, but it was a Wednesday and I know some papers produce a finance lift-out on Wednesdays. So, almost by accident I got sucked in to the big budget announcements. It was almost like walking down memory lane for me, I remember when I was a lot younger and had very little money. My parents and I would sit by the television and listen in closely to the announcements. We listened for some divine intervention that could turn around our financial future. You're probably thinking to yourself, what are you doing at home with your parents at that age? Back to the story. No matter how hard I looked, I couldn't find any positives in any budget that I've ever had the opportunity of being involved in. About 9 years ago, I stopped completely, even paying attention to the budget. I took the view that regardless of what is in there, it didn't relate to me… and to tell you the truth, it hasn't affected me one bit. Probably the best thing I ever did. I think it's an event that you should avoid totally. Unless of course you want to stay in the 95% that end up dead broke. It's usually those folks that sit on the edge of their couch, watching with great anticipation. But this morning, because I stumbled across it, I thought I'll look for any signs that may relate to the economy from a perspective of finance… and of course there was plenty of it in there. Most of it useless… To me anyway. Now I know why I've completely avoided all budget announcements. What was in the budget this morning? A lot more doom and gloom than anything else. Seems to me the government is preparing itself for a severe down-turn. Or at least that's what they're telling the masses. They're building up a big war-chest of cash, just in case. I don't know, maybe that's okay from their point of view, but aren't they sitting on a massive surplus from the previous government? Anyway, I haven't got a political bone in my body – so I don't give a rip either way. But two things caught my attentions – and these were kind of buried in 2 and 3 word paragraphs. The government is suggesting to give some sort of rebate of $8,000 to property investors who give renters a 20% discount. How the hell they expect to implement this I've got no idea… and what is the criteria for qualification? I'm sure some genius has worked out, but it's the intent of what they think is likely to happen with rents that got me curious as to why they would want to offer a rebate scheme. What is their view on housing affordability from the point of view of a tenant? The tenant aint going to be able to afford it and the government aint going to be able to house them… costs too much, so let's give the investor a break. The other thing that caught my attention is the self-admission of a slow-down of the economy as well as a $4 billion hole from a lack of capital gains taxes being paid. Of course not all capital gains tax relates to property, but boy it's a big chunk. Any developers reading in to the budget's undercurrent of expectation would probably put a few projects on hold, just to see how the economy pans out. That doesn't help the already chronic housing shortage. …Is the expectation and the encouragement of increasing migration into Australia. This one is really interesting from my point of view, where are these guys going to live for one, and secondly, they're unlikely to buy property initially – so they're ultimately going to become renters. Rents to explode even bigger than what I initially thought – perhaps. For me, this is one to watch closely. What if you could actually find out where most of these migrants are going to setup stumps? Bet your bottom dollar, if you can get quality stats on this you can virtually pick the next hotspots that are likely to increase by 15-20% in capital growth – maybe even more. But here's a question, if you're bringing in more migrants and you reckon there's going to be a down-turn in the economy (which means jobs will suffer), what is going to happen there? I'm a little bit confused, but I kind of know the answer. The migrants whoa re going to be coming in are likely to be skilled migrants who are likely to earn higher dollars. (Not all of them will be skilled of course). For me, whether you agree or disagree, it doesn't really matter. Please don't email me back with your political stance, I certainly wont read it or entertain it. My view, as you know by now is that your financial future is your responsibility and no budget today or tomorrow is even going to be the defining moment of whether you're going to make it or not. You may think it doesn't do any damage by simply having an innocent look. I beg to differ. When you have little perspective, or you're unsure, then the perspective of the masses will fill the void that you've allowed. Don't let that happen to you. Put on your own individual budget-protector. I hope it's not too late. I admit it openly and publicly now, I drive a car that is 8 years old. Embarrassing isn't it? Even though it's a nice car, Mercedes CLK 430, it's still 8 years old. Seems like I'm in good company though. What car do you drive..? Or more to the point, is the car you drive likely to keep you broke for the rest of your life? Read on on, you'll find this very interesting and perhaps a little bit painful too. It's not hard to spot the product of new wealth: a luxury car in the driveway or a huge home in the suburbs. However, the true millionaire or billionaire – those that come from the product of old wealth or their own well timed investments – tend to live a toned down lifestyle. Look into the driveways of the founders of IKEA and Walmart, and even Warren Buffett. There are no luxury automobiles here, but used Volvo station wagons and second-hand pick-up trucks. Treating each purchase as an expense. The millionaire lives in his or her own environment, where every purchase and expense is calculated to the smallest of numbers. Why buy that $40,000 car that gets you to the same place in the same amount of time as a $5,000 used station wagon? Furthermore, many upper-end cars are financed at rates that exceed the amount that can be made by safe investing, proving that consumption doesn't pay. The biggest difference between the millionaire and the newly rich is more psychological than any other element. A millionaire, who grew his or her own wealth, understands the power of money and how it can work for them – not how it can cost them. In this example, it's easy to spot the folly of purchasing a depreciating asset with a line of credit. Purchases, such as cars or pricey electronics, lose value over the long term. A new car when driven off the lot loses 30% of its value because it is now classified as a “used” car. As mileage racks up, the car loses some utility and falls in price to accommodate. A car or luxury items should be classified as an expense, rather than an investment or asset. One of the biggest risks in borrowing to buy a depreciating asset is going upside down. For example, if you were to purchase a new $30,000 car, and then total it just a year later, the car would be worth only $24,000 considering the best possible outcome. In this case, an insurance payment would be for the amount of $24,000, but the car would still have liabilities greater than its current value. Your cost of ownership would equal out to around $6,000 per year, which is $500 per month to essentially rent an invisible car. You would no longer own the car, but instead be left with a debt of $6,000. Financing a depreciating asset further compounds the problem. In many instances, car owners find themselves “upside down” or owing more on the car than the actual value. As a car depreciates in value by an average of 7% – 12% per year, and interest charges account for another 5% – 6%, the car actually devalues itself by up to 18% per year. Even more, if the car is bought brand new, it can lose 40% of its value in just the first year. Quite simply, a depreciating asset is an expense, while an appreciating asset is an investment. The danger of borrowing for a depreciating asset is apparent. A car may lose 18% of its value in one year due to interest and depreciation, while a home will appreciate in value with the cost of borrowing. No millionaires will ever be made from investments in depreciating assets, especially when combined with financing. Only appreciating assets should be financed, and even then, there must be some due diligence paid to the future value of the investment. Jim Walton, heir to the Walmart fortune, drives a 15-year old Dodge pickup truck. Ingvar Kamprad, founder of IKEA, sports a 15 year old Volvo station wagon. Warren Buffett, with $52 billion in assets, drives a 2006 Cadillac. Sergey Brin, founder of Google with $16.6 billion in assets, is seen around the Silicon Valley in a humble Toyota Prius. Get the picture? Make your assets work for you, and your bank account (and heirs) will thank you. Millionaires do not work for money… So why are you? Millionaires do not and will not work for their money. Yes, you read that correctly. Very few millionaires achieve their wealth from savings earned from a high paying job. In fact, it is difficult to get rich from your work. Just imagine if millionaires did get paid in proportion to how much they worked… They'd be buggered, wouldn't they? So what do they know that you don't? Or more to the point, what are they doing that you're not? The reality is that most millionaires are either investors or business-owners, not employees. Saving your earnings to reach the $1 million mark is almost impossible. The low rates offered by banks, combined with rising inflation, make saving a poor strategy to reach the seven figure threshold. There is a reason that very few people ever actually save their way to a million dollar net worth: low bank interest rates neglect any meaningful return, and compound interest is working more quickly against the value of your savings than for it. The millionaire mindset expresses a completely different ideology towards an investment. Millionaires look for the best possible return with minimal risk, while most investors simply look for the best returns. There are many cases where an 8% return trumps a 12% return after calculating for the risk. The millionaire views each and every purchase like an investment. Are the $500 speakers really worth $300 more in quality than the $200 speakers? Is that $10,000 Rolex watch offering $9,800 more in utility than your standard Seiko? Both purchases are expenses rather than investments, but many of the new wealth consider everything they buy to be an asset, even if it's losing money year over year. Millionaires do work, but not for money. They work on systems, ideas, concepts that can leverage their time. My friend, Richard Branson and you do have one thing in common… The same amount of time available. Most people in the seven figure club got there by earning more than they needed to survive for a number of years, while supplementing their fortune with consistent returns from quality investments. Remember, the investor can make an infinite amount of money each year by putting money to work. On the other hand, the employee who “saves money” is left with a job that can only pay so much per hour and offer so many hours. Your opportunities are slim in the professional world, but huge profits can be obtained with each investment dollar. Let's consider this scenario. You have a $500,000 portfolio, which at a 12% return rewards the investor with $60,000 in annual growth. Many unspecialized jobs are unlikely to ever match this figure, while many college-educated careers pay somewhere around $60,000 per year. The investor can earn more in a year with a modest retirement portfolio than can be made with a college education! Furthermore, future growth in earnings by investments is set by you. Each time you roll your money over year after year, your principal grows, and the yearly payouts rise as well. Very few professions accommodate for a 12% pay increase year over year. Ultimately, there's only one solution. You either understand the fundamentals of investing and work towards becoming excellent… Or you can whinge and moan, working for a living for the rest of your life. When I first started investing, I was prepared to put my ego aside and seem foolish to most professionals. In fact, I would have been considered by them naive and dumb. The secret here was that I was prepared to be bad and seen as a bit of a moron to actually get good. Today, my monthly income easily surpasses most of the smarty-pants professional's yearly income who made me feel 2 inches tall. Be prepared to be bad to get get good – put your ego aside, admit to yourself that life is not going as well as it should and start investing in your own financial intelligence now. Let me explain how this came about. If you're not who you think you are, then who are you? The answer is revealed below. I've known this for 10 years and have made the necessary changes. Let me tell you that the effect has been profound. Negativity. Selfishness. Addictions. Depressions. Poverty Mindset. Where does negativity, selfishness, addictions, depression, poverty mindset come from? There could be many answers to this question, though I'm going to share one important answer today. One. Remember this or write it down. You haven't heard it before. People form habits, habits EFFECT GENERATIONS. Let me say it again. People form habits, habits EFFECT GENERATIONS. Hold one second. Follow me here. This is one of the most important insights I've gained over the last year. Yes, that's why the rich get richer. Cities that have a lot of poverty repeat the cycle decade after decade. The poverty mindset gets passed on. What we think effects just ‘us', effects our kids and are kid's kids. Yes. Negativity, employee thinking, aversion to risk, scatteredness, these limited habits can be passed down, generation after generation. Passivity, absentee parents, bad money management skills, all of it can be passed down. What are you passing down to your kids and their kids? Seek to become a GENERATIONAL SUCCESS. Sometimes we make small steps that seem insignificant today. We have no idea what that EXAMPLE of strength and positivity means to those around us. It's greater than we know. Be a hero to people you'll never meet. Set an example of perseverance, courage, and consistent action. Work on improving your habits 1% each day. Get up 10 minutes early. You me, all of us, were born with so much potential, now it's up to us how much we'll use. What will be your generational story? where can i watch devil?